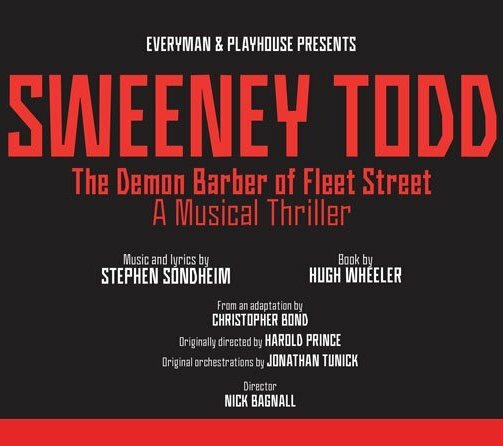 This Spring, Tarek will be MDing a new production of the Sondheim/Wheeler masterpiece Sweeney Todd for the Liverpool Everyman. Directed by Nick Bagnall, and with Kacey Ainsworth as Mrs Lovett, this raw and uncompromising staging will take the story back to its roots, with a cast of 9 and a band of 4. England is choking. Its landscape is blackened. This is the rotten core of the decaying nineteenth century. As the rich sit back, the workers are left to forage for society’s scraps. But in the big city – the unconcealed pinnacle of this desperate misery – one man is plotting. From his fearsome barber’s chair, he’s planning the bloodiest, juiciest, most succulent act of revenge ever seen. The story of Sweeney Todd’s cut-throat vengeance – and Mrs Lovett’s curiously toothsome pies – has left a curdling, crimson trail for over 150 years. Now this malevolent tale comes lurching back to life in the masterly musical by Stephen Sondheim and Hugh Wheeler. Stuffed to the gizzard with mesmerising music and crow-black comedy, this is anarchic theatre at its thrilling best. And of course, we’re baking it to an Everyman recipe – so sit down, tuck in and enjoy the revolutionary taste of a tale with a blood red heart.